There are swimmers and there is Karen Pickering MBE an inspirational athlete and Olympic speaker who has set up the Karen Pickering SWIM Schools and the Karen Pickering SWIM Foundation , the latter providing bursaries for people who cannot afford to take swimming lessons. Despite breaking her back in 1996 when she was 25, Karen has had a highly successful international swimming career that has spanned two decades. During that time she has won 35 championship medals and 38 national titles. 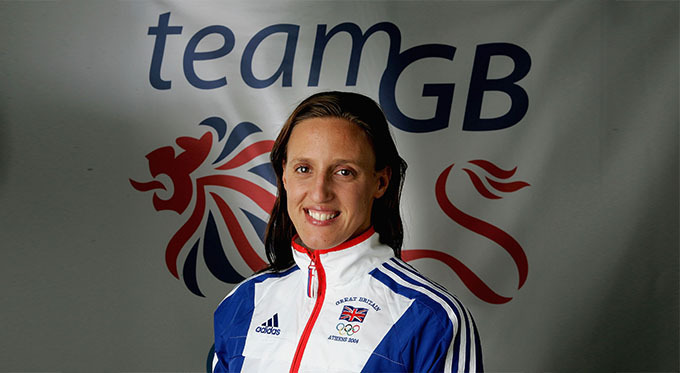 Taking part in four consecutive Olympic Games, Karen has taken the World Championships by storm time and time again. In 1993, the Olympic speaker won a gold and a bronze medal, in 1999 she won a gold and a silver, in 2000 she won bronze, silver and gold and in 2001 she won a silver and a gold medal. Karen has also held two world records and in 1994 she was given an MBE for her services to swimming. After retiring in 2005, Karen Darke began a new career as a TV sports commentator, a highly popular speaker at events, and chair of the British Athletes Commission . To book Karen Pickering MBE as the Olympic speaker for your corporate event, function or conference, simply contact the Champions Olympic agency by filling in our online contact form. Alternatively, call a booking agent directly on +44 1509 85 29 27.